A little more information has been revealed about this new entry in the Taiko no Tatsujin series. 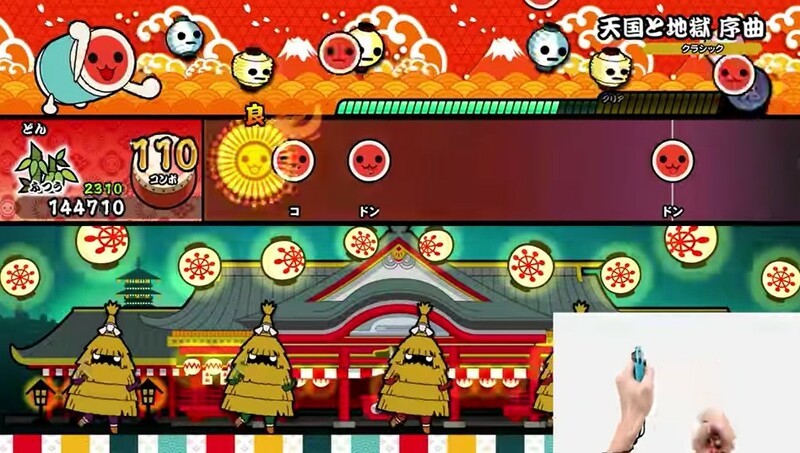 In Taiko no Tatsujin: Nintendo Switch Version, the Joy-Cons can act as drumsticks that support HD Rumble. The tracklist for this title includes songs from Super Mario Odyssey and Splatoon 2. Bandai Namco have announced Taiko no Tatsujin: Nintendo Switch Version on the Japanese Nintendo Direct broadcast today exclusively for the Switch. It will launch in Japan in Summer 2018. The first footage of the new game can be viewed below.